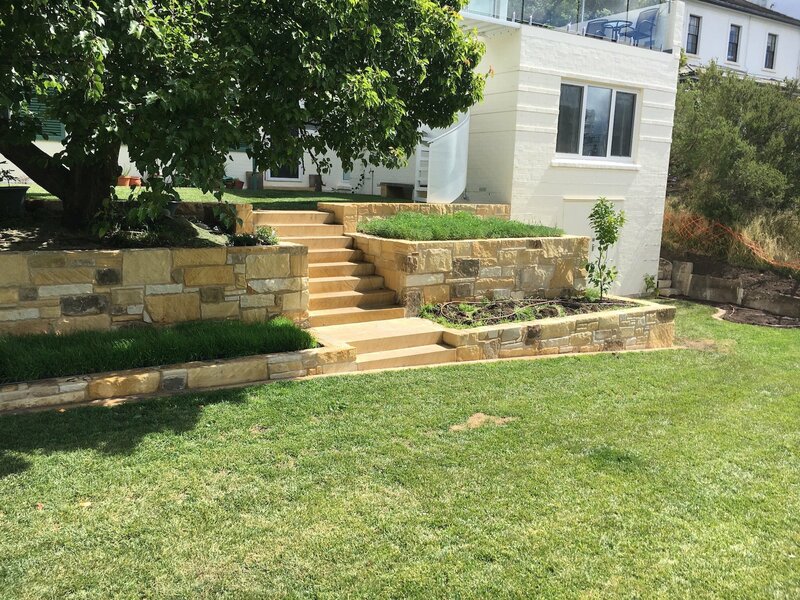 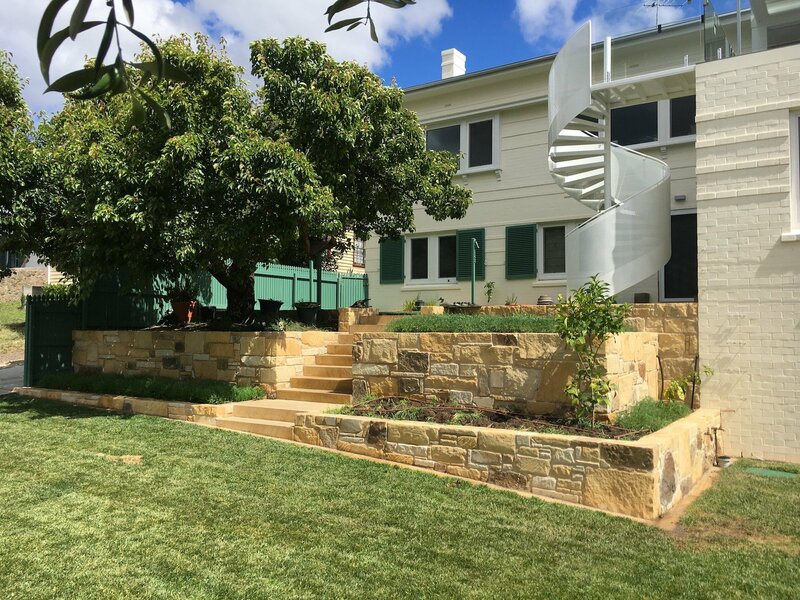 The remit was to use beautiful, buttery local Tasmanian sandstone - blended with some existing heritage stone from this Battery Point residence - to create a semi-formal arrangement of terraces. 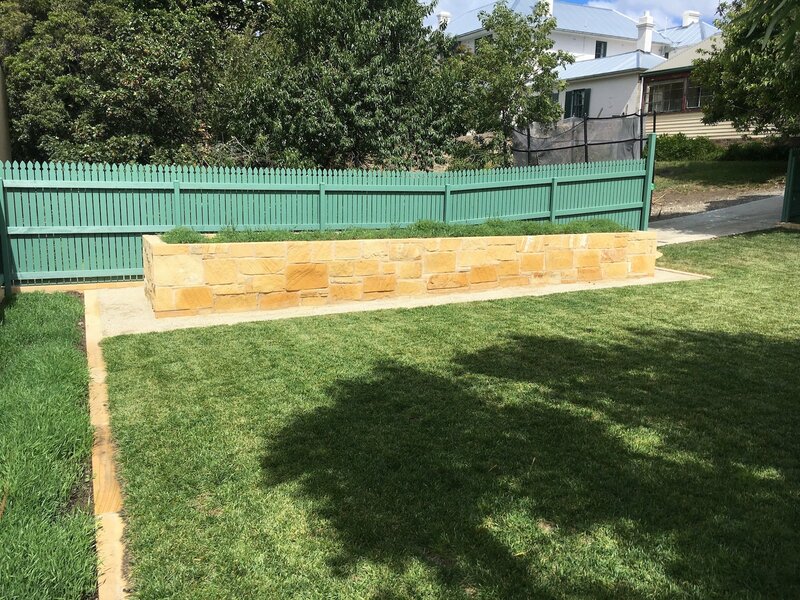 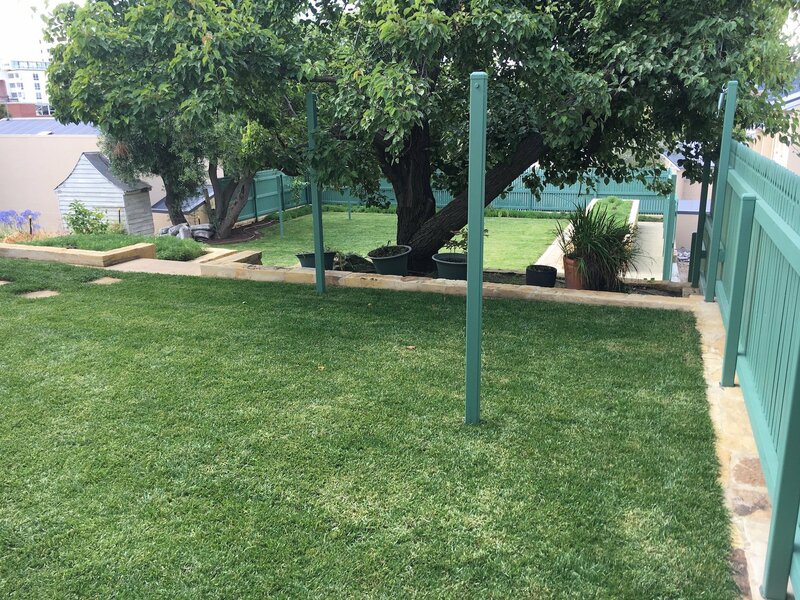 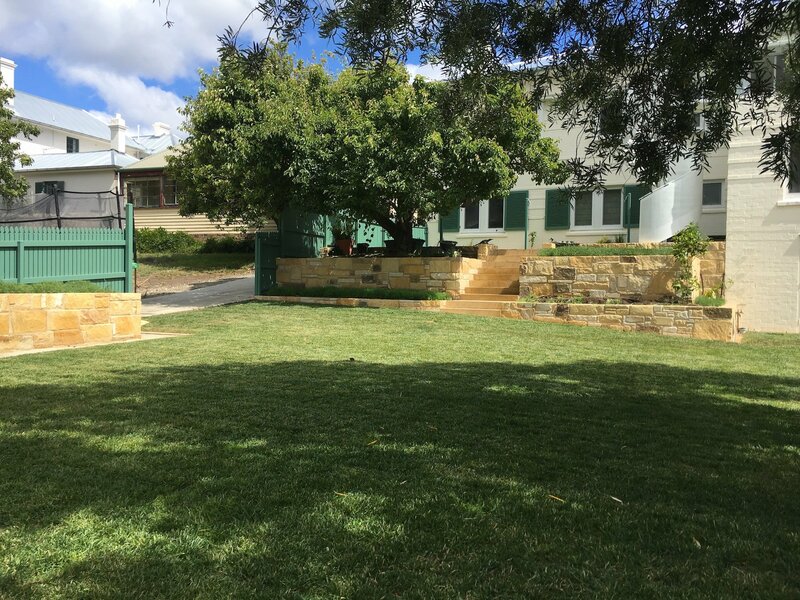 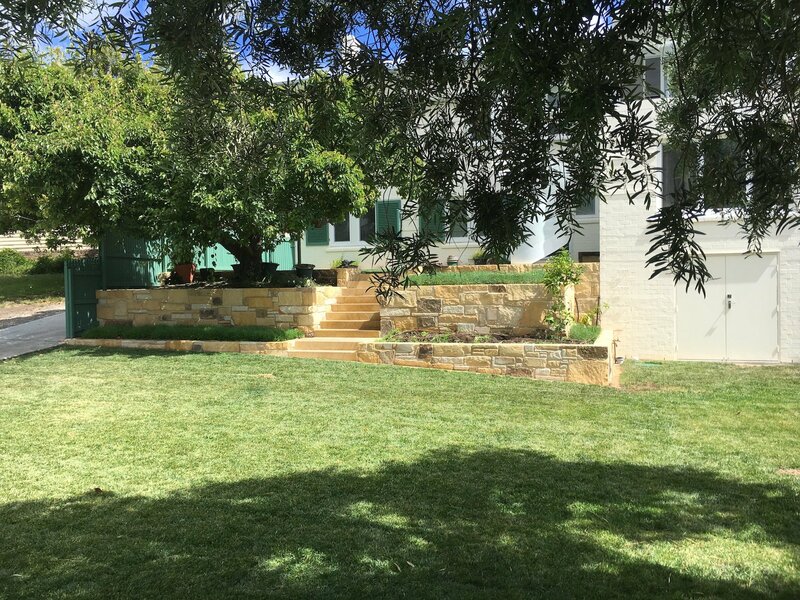 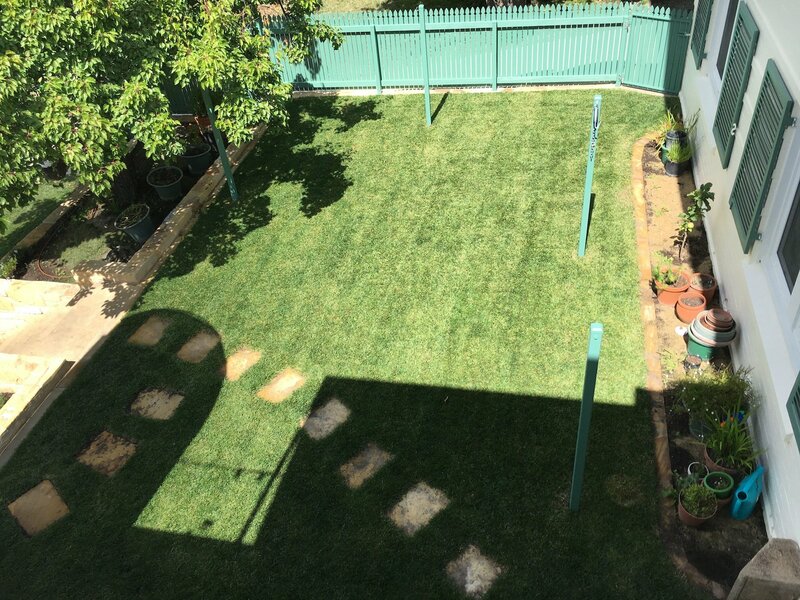 Optimisation of fruit and vegetable production within recreational lawn spaces were clear priorities, with the consistent use of sandstone for all elements aesthetically tying the whole together. 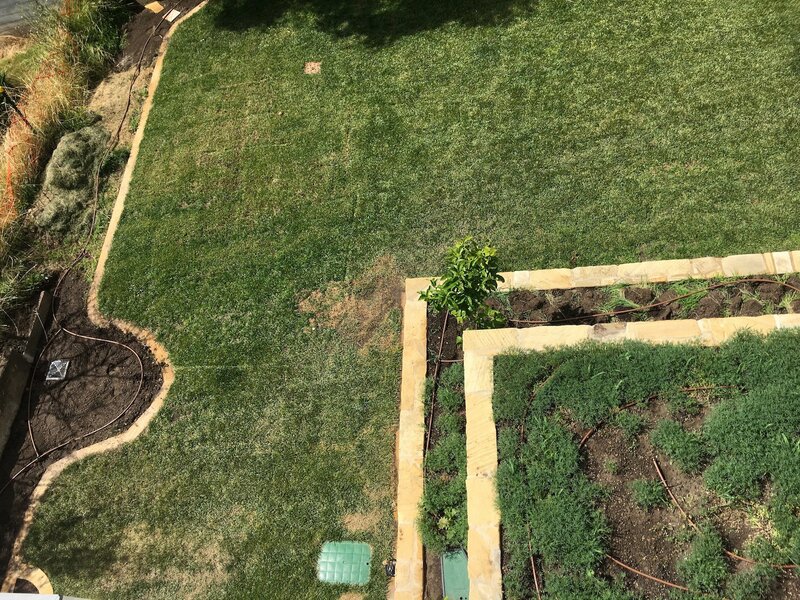 An automated irrigation system simply keeps the garden lush.